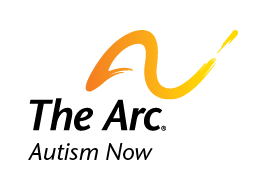 Since officially launching the Autism NOW Center website in April, 2011, we’ve constantly added new features. Chief among them have been our mobile website and local agencies directory plus our forums and site videos. Today, we have two more features we’ve added to the site! simplifies the layout of most pages, removing some menus and focuses attention on the content. changes the color scheme of the site, featuring a white on black theme that helps those with visual impairments to digest the content more easily. increases the font size of the site slightly. We also added a Recommend this Content feature. When you click this button (viewable at the bottom of our pages and posts), we get a notification in our analytics program. Don’t worry – all submissions are anonymous. This gives us valuable insight that you find specific content helpful. So if you’ve used a resource, read an article or page – and it made a difference – let us know. We will periodically let you know what content rises to the top right here in our news section. updating all content for accuracy and needed changes. creating an additional way to browse the site and find information – all based on topics. enhancements to our local agencies directory – including more content. Thanks for using the Autism NOW website and as always, let us know if you have any feedback. Date posted: July 20, 2012. Content created by The Autism NOW Center. Last updated: March 21, 2018.